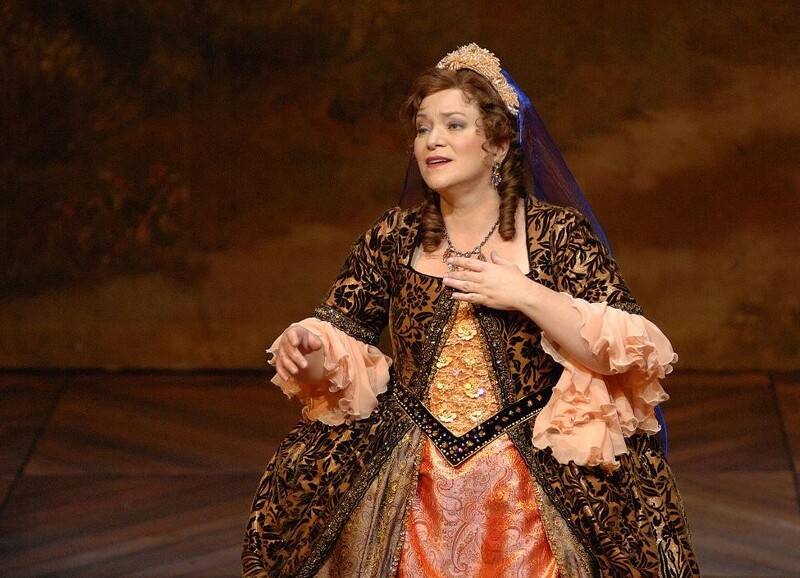 Soprano and vocal pedagogue Dominique Labelle feels honoured to receive one of this year’s Opera Canada Awards (a ‘Ruby’). “It is humbling but heart-warming to be recognised by your country and your peers.” Dominique Labelle adds with a wistful grin, “in addition the ruby is my birth stone but I’ve never possessed one” and laughing adds, “until now that is.” Meeting Labelle is like a breath of fresh air. She both reassures and inspires with her uncomplicated but positive approach to life and to her musical vocation. Because in many respects, music is, for her, a vocation. 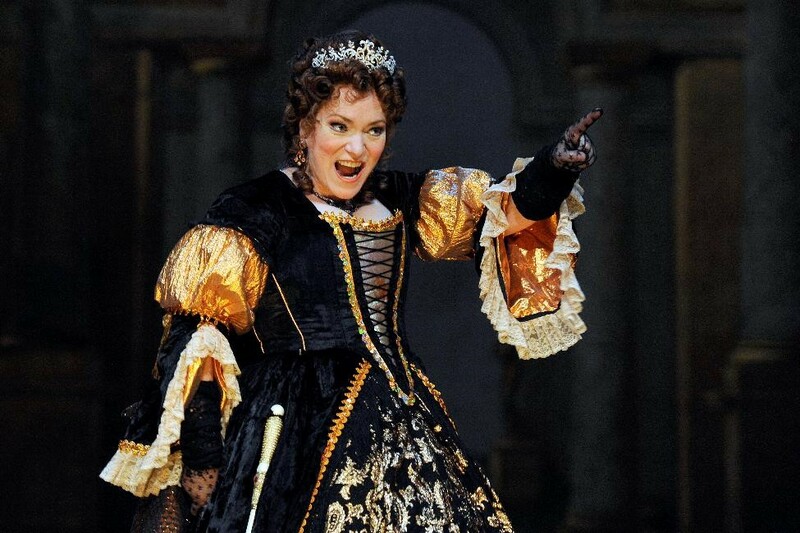 Dominique Labelle (Angelica) in International Handel Festival’s Orlando. Photo by Dorothea Heise. Montréal-born Labelle comes from a rich musical background. Her ancestor, Louise Labelle, was grandmother of the famous, late 19th-century Québécoise soprano, Emma Albani, and Dominique’s major musical influence was her own paternal grandmother, Marie-Flore Labelle. Not only did Marie-Flore sing all the time, but she also collected folk and popular songs. I had the privilege of seeing a beautifully annotated ledger of these songs, supplemented by several cassettes of her grandmother singing them. These treasured possessions are not only souvenirs, but also help explain why music became an integral part of Dominique’s life. “My grandmother was one of nine children—all of whom studied music—and I always knew it would play a major role in my life. I even remember as a very young girl asking for recordings of Beethoven’s nine symphonies as a Christmas present.” Dominique played and learnt a variety of instruments but discovered she had a voice almost by accident. She studied voice at McGill University and then Boston University where she was taught by the legendary American soprano, Phyllis Curtin. 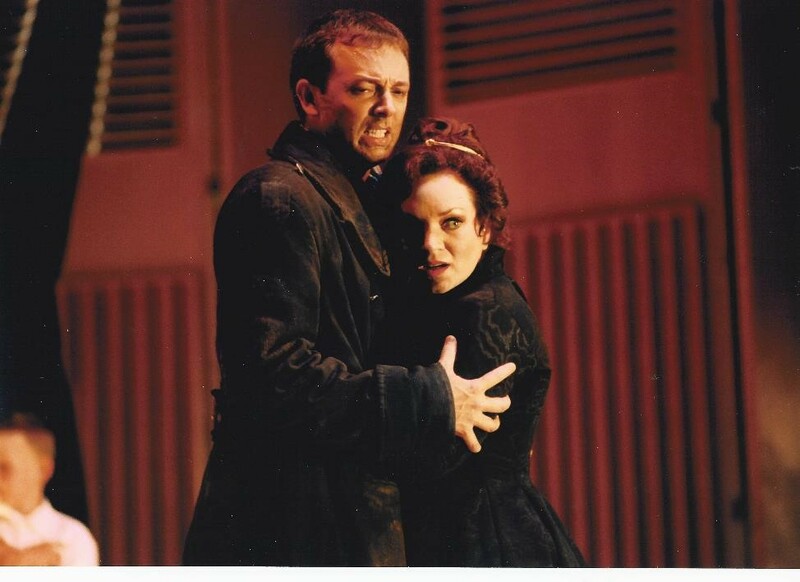 Dominique Labelle (Rodelina) and Robin Blaze (Bertardio) in the 2000 International Göttingen Handel Festival’s Rodelinda. Dominique carved out an impressive niche for herself singing opera. In the USA and Europe, she performed Donna Anna, the Countess, Lucia di Lammermoor, Gilda and even Violetta (“which was my limit”) to great acclaim. “I have to admit I loved the rehearsal process. It enabled you to discover the route the composer had outlined for you. It was the search for and the discovery of musical and dramatic truths that enabled you to share and communicate these wonderful characters. It was and remains a privilege.” Her extensive recording career also reveals a formidable range of genres and styles from Italian and French baroque to the contemporary songs of Jon Harbison and Yehudi Wyner. Studio 2017/2018 – Ecole de musique Schulich. Photo courtesy Dominique Labelle. 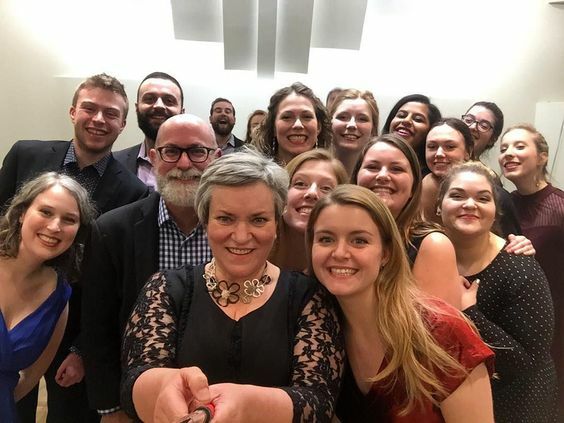 Having heard Dominique Labelle speak on teaching it is not surprising to learn that the Schulich School of Music at McGill University, where she has been teaching since 2014 and is now Area Chair for Voice, named her Outstanding Teacher in 2018. “Perhaps you see now why, when I received the notification that I had won a ‘Ruby,’ I was particularly moved by the fact this it was as a singer and teacher.” Perhaps, but it is only natural when one’s mission is to serve music.